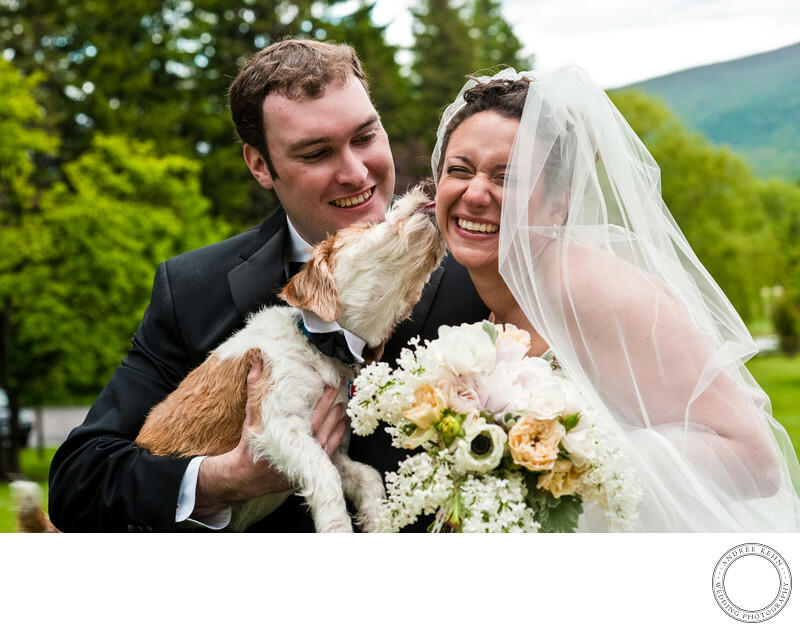 This awesome wedding dog got into the fun and gave the bride a kiss right after all of the formal photos were done. I love a dog human relationship and how it transcends the traditional. It's a little quirky to have your dog at your wedding, and that's what I love! Keywords: ShootStyle (6). 1/200; f/7.1; ISO 640; 85.0 mm.